You must be a member of the Brasilia DinnerNations Group to attend this activity. Would you like to join this group? Are you a tea lover? 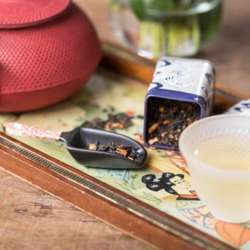 Would you like to know more about tea, its history, blends and how to prepare a perfect cup? So join us on this class with a tea Sommelier that will lead us to the world of this wonderful drink. We will taste some flavors and eat brazilian pães de queijo to have the perfect experience. Due to space reasons, we just have 15 places. Please only sign up if you can make it. If something comes up, make sure to cancel your attendance as soon as possible, so other members can join the activity! Thank you for your consideration. The price includes class, tea tasting, pães de queijo and R$50 to spend at the store taking home the best of what you have tasted.